Join with your favorite planners on September 19-20 in beautiful Meredith, NH for the annual conference of the Northern New England Chapter of the American Planning Association. The conference – “Planning for Everyone” – will provide a focus on the relationship between the work of planners and those who have often not had a voice in the processes we administer and the products we create. People with disabilities, refugees and immigrants, youth and elderly – all should find opportunity and comfort in a well-planned world, but they frequently don’t. How can we change this? Registration: Early registration rates apply until Friday, August 30. Rates are available for the full conference and for single days, as well as for non-members, guests, students, and retirees. The early reservation rate is $175 for members. Registration will close on September 11. Click here to register. Room Reservations: Blocks of rooms have been reserved at Church Landing ($189), Mill Falls ($129), Bay Point ($159), and Chase House ($159). All rates are double occupancy. 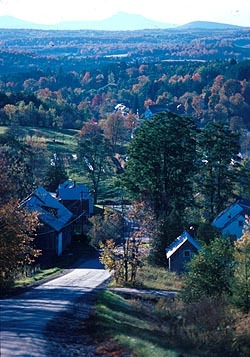 To make reservations at any of these, call 1-800-622-6455 or online at www.millfalls.com. If reserving your room online, you must use the Group Code 20P2A3 to receive the discount. These rooms will be held until August 30, so make your reservations early! In recognition of the community planning and improvement efforts taking place in municipalities large and small throughout Vermont, for the first time in many years the legislature increased the amount of funding by 10%, making $450,000 available for Municipal Planning Grants (MPGs). Maximum funding for grants will also increase from $15,000 to $20,000 for a single municipality, thanks to the input received from many of you in our recent survey. a.	Bylaw updates intended to correct clear conflicts with the municipal plan, bylaw updates that address one or more of the smart growth principles in 24 V.S.A. § 2791 (13), and bylaws that implement the flood resilience recommendations of the plan. d.	Planning and implementation for achieving greater flood resilience: Updating a municipal plan to meet the new statutory requirement for a flood resilience element integrated with river corridor and hazard mitigation planning. See 24 V.S.A. §4382. Projects that implement the flood resilience recommendations of the plan are also priorities. The online application system is now ready for use but we strongly recommend that you first develop your project off-line using the page-by-page Application Instructions and the Sample Application, both located on our MPG webpage. Wendy Tudor, our MPG administrator, will be happy to assist you. Please feel free to contact her at: wendy.tudor@state.vt.us or 802-828-5249. We very much appreciate the 181 local officials and planners who responded to our MPG and Community Planning Survey. Over 85% of those respondents consider MPGs to be essential or very important to achieving their planning goals. We feel honored that you value the program so highly and consider it a privilege to serve so many dedicated local volunteers and staff people working together to keep our communities strong, resilient and places we can continue cherish for generations. A number of changes are underway with the National Flood Insurance Program in response to the Biggert-Waters NFIP Reform of 2012. These changes include steps to make the program financially solvent – in particular by eliminating or phasing out existing subsidies in the program. New flood insurance policies are now required to pay actuarial rates. This situation includes older homes and structures in flood hazard areas that have long benefited from a subsidized flood insurance rate. Older structures (built before the first Flood Insurance Rate Maps typically in the late 1970s) are called “Pre-FIRM” (Pre-Flood Insurance Rate Map) structures. A new flood insurance policy for a Pre-FIRM structure is now required to pay actuarial rate for the class of “Pre-FIRM” structures. The specific premium still reflects the value of the structure and the deductible. New policies or policies renewed after October 1, 2013 will need an Elevation Certificate (EC). An Elevation Certificate describes the location of the building in relation to the elevation of the flood water (Base Flood Elevation). An EC has been required for new Post-FIRM structures – but this is the first time that it will be needed for older Pre-FIRM structures. With an Elevation Certificate, Pre-FIRM structures will get rated based on their specific actual risk situation – notably the elevation of the lowest floor (including the basement). Please see the Summary on Biggert-Waters. The summary includes links to additional FEMA information and other resources. If you have a current flood insurance policy on a residential Pre-FIRM structure – the rates will rise to actuarial cost at 20% / year. Please contact your homeowners insurance agent to discuss flood insurance costs and how you may be able to reduce your costs by making your structure safer and less risky. This is particularly important as it will affect the situation at a future time of sale. Vermont communities may want to consider steps to help property owners get Elevation Certificates – such as encouraging neighbors to hire a surveyor together, and/or to establish more local elevation benchmarks. Communities may also want to pursue the FEMA Community Rating System (CRS) to provide access to discounts on flood insurance rates. i-Tree Hydro is a stand alone application designed to simulate the effects of changes in tree and impervious cover characteristics within a defined watershed on stream flow and water quality. It was designed specifically to handle urban vegetation effects so urban natural resource managers and urban planners can quantify the impacts of changes in tree and impervious cover on local hydrology to aid in management and planning decisions. Researchers at the State University of New York in Syracuse are using i-Tree Hydro to model the hydrologic impacts (water quality and quantity) of green infrastructure. Green infrastructure includes a variety of methods such as rain gardens, bioretention basins, and green roofs used to capture, infiltrate, and transpire rainfall and runoff. Using predominantly natural processes, green infrastructure can clean water, restore soils, landscapes, and receiving water, improve air temperature and quality, and fortify and sustain our economy. addressing population, land use, and climate change pressures. Endreny’s ESF Team uses environmental resources engineering to help communities plan, design, and manage for water, food, energy, and health security. The ESF Team includes Ph.D. students Tom Taggart and Emily Stephan. Central Vermont Regional Planning Commission’s July monthly meeting will feature a presentation by Jens Hilke, Conservation Planning Biologist with Vermont Fish & Wildlife, on the new BioFinder map and database tool (more information below). Conservation Commission members and interested citizens are encouraged to join the Commissioners and staff at the meeting which will be held on Tuesday, July 9th at 7pm, at the Central Vermont Chamber of Commerce, Paine Turnpike South, Berlin. Directions: Coming off the interstate at exit 7, turn left at the first light. At the next crossroads, the Chamber is on your left. It is the light yellow building. BioFinder is a map and database identifying Vermont’s lands and waters supporting high priority ecosystems, natural communities, habitats, and species. 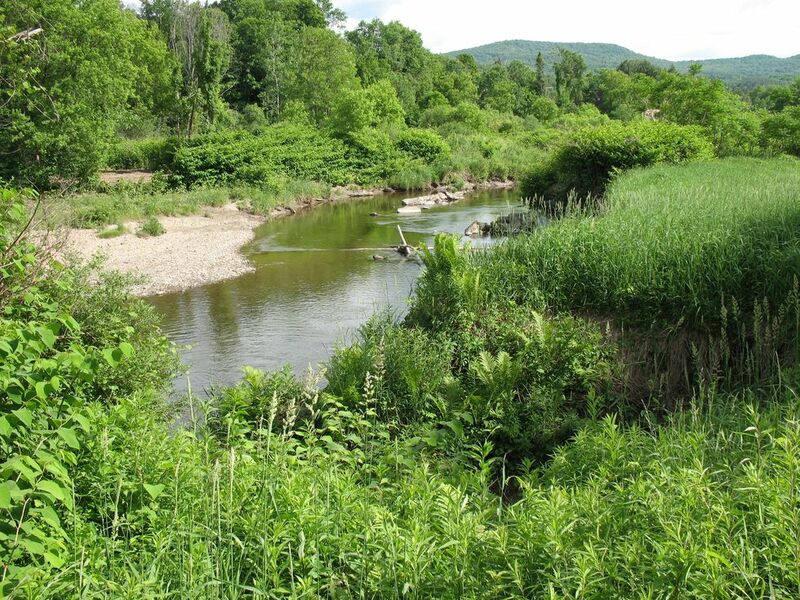 The most comprehensive assessment of its kind in Vermont, BioFinder was developed by the Agency of Natural Resources and partners to further our collective stewardship and conservation efforts. At its core, BioFinder is 21 overlapping data sets representing terrestrial and aquatic biological, ecological, and natural heritage data at various scales and aspects. A co-occurrence analysis then identified the locations of greatest overlap for priority ranking at the statewide scale. This Tiered Contribution to Biological Diversity dataset is available for download on VCGI, but we strongly recommend that you use the BioFinder Mapping Tool to explore the distribution and richness of Vermont’s biodiversity and help secure Vermont’s natural heritage for future generations. Our online mapping tool includes both the Tiered Contribution dataset and the 21 component datasets and makes it much easier to go back and forth between datasets than in ARC. The presentation will explain why & how this dataset was created, but we’ll spend most of our time together exploring how to use BioFinder for land-use planning and some of the specific tools we created for this purpose. Don’t hesitate to contact me with questions or concerns.